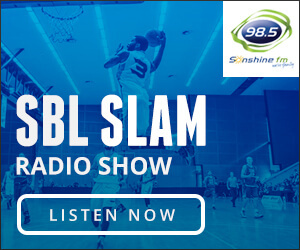 ALL 14 teams in the Men’s SBL were in action on Saturday night across seven matches which included the South West Slammers getting their first win of 2018, Jacob Holmen and his Perry Lakes Hawks winning in Kalgoorlie and the Joondalup Wolves holding off Greg Hire and the Rockingham Flames. Round 7 of the Men’s SBL began on Friday night with just the one game that saw the Joondalup Wolves beat the East Perth Eagles 90-73 at HBF Arena. That led into a monster Saturday night with seven games featuring all 14 teams in action. 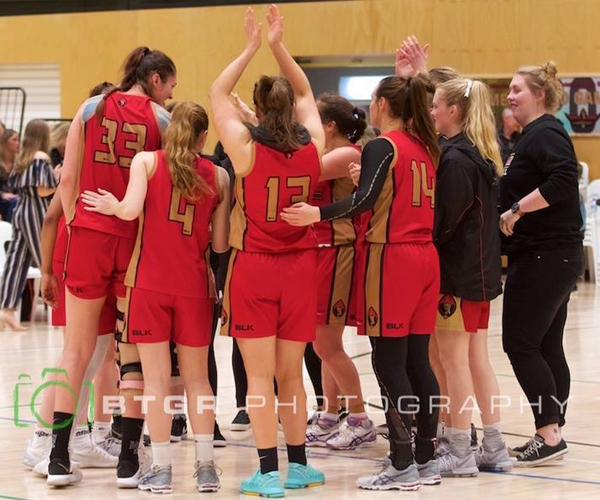 That included the South West Slammers beating the Cockburn Cougars 88-78 for their first win of 2018. 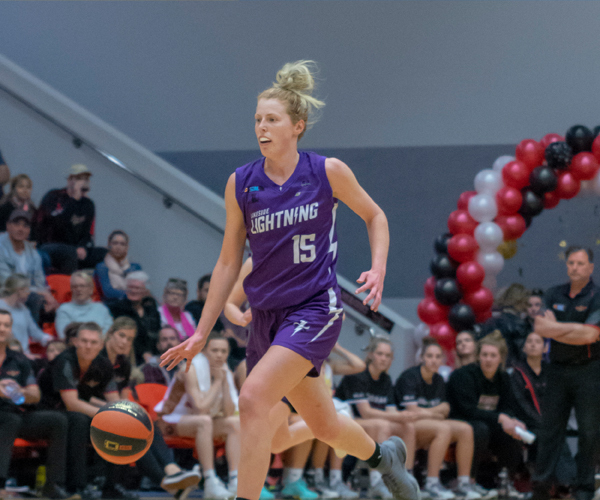 Two players were up against their former teams for the first time with mixed results as the Perry Lakes Hawks beat the Goldfields Giants 94-84 and the Joondalup Wolves defeated the Rockingham Flames 83-81. 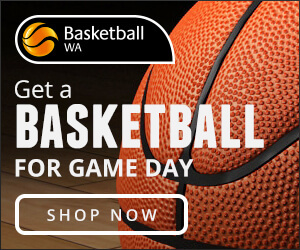 The Mandurah Magic also pulled off a significant upset beating the Geraldton Buccaneers at Active West Stadium 94-85. The Willetton Tigers beat the Perth Redbacks 87-83 as well while the Lakeside Lightning beat the East Perth Eagles 98-90 and the Kalamunda Eastern Suns thumped the Stirling Senators 108-73. There was plenty of intrigue heading into the contest between the Giants and Hawks at Niels Hansen Basketball Stadium with reigning MVP Jacob Holmen making his return to Kalgoorlie to play for Perry Lakes against the Giants where he played the previous three years. It was a tight first half before Perry Lakes got on top in the third quarter to set up the 10-point victory. That improved the Hawks to a 5-3 record on the season with the Giants slipping to 1-7. Holmen delivered 13 points, three blocked shots and two assists for the Hawks against his former team shooting 6/17 from the field. Lochlan Cummings top-scored for Perry Lakes with 29 points, five rebounds and five assists with Ben Purser adding 13 points, 11 boards and six assists, Brian Carlwell 11 points and eight rebounds, Cooper Hamilton nine points and Dan Thomas nine points and seven assists. Jeylyn Sharpe finished with 27 points, seven rebounds and six assists for the Giants with Brandon Holloway adding 19 points, six assists and four rebounds, Kyle Sovine 14 points, 11 boards and four assists, Jake Martin 11 points and 14 rebounds, and Jerome Reid nine points and four assists. With the Buccaneers on a six-game winning streak and unbeaten at Active West Stadium so far in 2018 and the Magic having just the one win on the board for the season and coming off a big loss on Anzac Day to the Perth Redbacks, it seemed a formality the Buccs would get the job done at home. But Mandurah made the journey to Geraldton on a mission and coach Aaron Trahair delivered a masterful performance against the team he took to the semi finals in 2016 to see the Magic come away with the nine-point victory. Shaun Stewart was the star for the Magic ending the night with 32 points, six rebounds, six assists and five steals on the back of shooting 12/21 from the field and a perfect 5/5 from three-point territory. Chudier Pal stepped up big too for Mandurah finishing with 19 points and nine rebounds with Damon Ballantyne adding 15 points, five assists and three boards, Jamal Shabazz 12 points, nine rebounds and five assists, and Akau Deng eight points and eight boards. Colter Lasher ended the night with 23 points and six rebounds for the Buccs with Gokul Natesan adding 23 points, five rebounds and three steals. Liam Hunt added 12 points and nine rebounds for Geraldton while Alex Ducas contributed 11 points and Marcus Alipate 11 points and five assists. 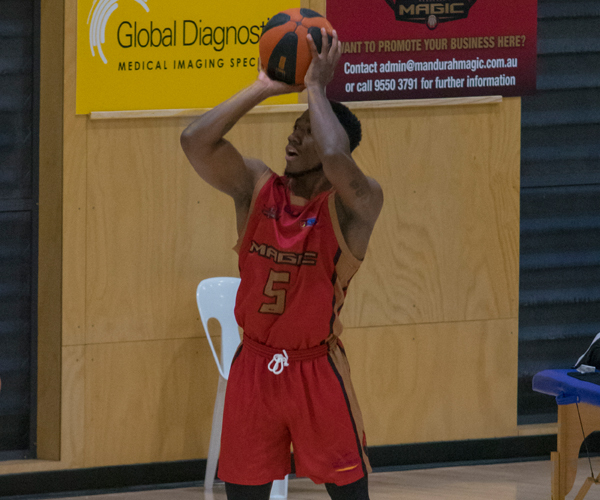 It was another tantalising match up between the Tigers and Redbacks at Willetton Basketball Stadium in the first time the teams had done battle since last year’s semi finals. Willetton earned a measure of revenge on the defending champions on the back of a dominant first half. The Tigers held the Redbacks to just 10 first quarter points and went on to lead 50-32 by half-time. The Redbacks were always going to come back hard but the Tigers held on for the four-point victory to improve to a 5-3 win with Perth slipping to 6-3. Willetton captain Kyle Armour led the way for his team in the big win with 20 points, three rebounds and two assists despite shooting 6/17 from the field. 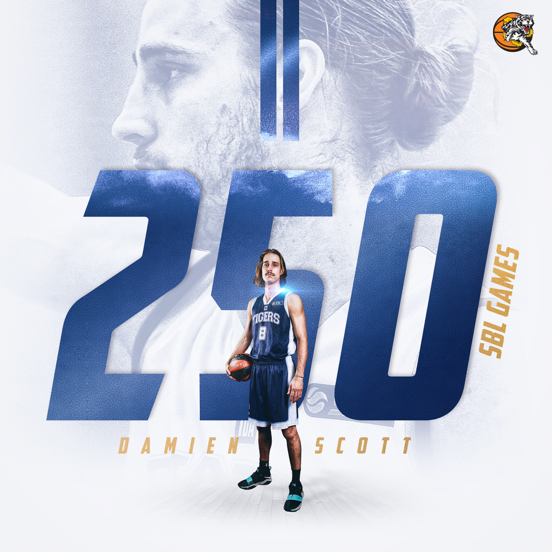 Damien Scott added 16 points, 10 rebounds and seven assists for the Tigers with Badou Diagne contributing 14 points and six rebounds, Andrew Black 12 points and five boards, Jake Burston 11 points, six rebounds and six assists, and Michael Collins eight points, four boards and two assists. Jackson Hussey had a tremendous battle with Armour on the night and finished with 32 points and six rebounds for the Redbacks on shooting 9/17 from the field, 4/7 from three-point territory and 10/10 at the foul line. Shawn Redhage finished with 19 points, 15 rebounds, five assists and two blocks too for Perth with Mo Barrow adding 18 points, six rebounds and three assists, and Ben Smith 10 points, four boards and three steals. Two struggling teams did battle at Eaton Recreation Centre with the Slammers getting their first win on the board for 2018, beating the Cougars by 10 points. The Slammers had lost their opening seven games of the 2018 season while the Cougars had lost their last couple in the absence of import Brandon Sebirumbi. South West came out and started hot looking for its first win of the season with 31 points to 14 in the first quarter and the Slammers went on with it to claim the 10-point victory. Brian Voelkel showed just what sort of an impact he can have to be a match-winner even with just scoring six points and shooting 3/11 in a game. He finished the evening with 27 rebounds, 11 assists and two steals. Michael Lay also showed his quality with 26 points, four rebounds and two assists for the Slammers on 10/17 shooting from the field and 3/6 from three-point range. Travis Durnin contributed 22 points and seven rebounds, Clive Weeden 15 points, three boards and three assists, and Demetrius Robinson 10 points. Julian Pesava top-scored for the Cougars with 17 points, six rebounds and three assists while Sebirumbi returned with 13 points, four boards and two assists on shooting 6/11 from the field. Gavin Field added 12 points, seven rebounds and three assists for Cockburn while Seva Chan finished with 11 points and three boards, Steven Van Lit eight points and three rebounds, and Jaarod Holmes eight points and three boards. Another game on Saturday featuring two in-form teams and with plenty of added storylines was the Flames hosting the Wolves at Mike Barnett Sports Complex. In the end it was the Wolfpack that retained top spot in the standings improving to 8-1 with the two-point victory against the now 6-3 Flames. The Wolves started strongly to lead 22-13 by quarter-time and then held off a fast-finishing Rockingham to come away with the victory with the occasion marking the first time that Joondalup championship winner and Grand Final MVP Greg Hire played for the Flames against his former club. Jalen Billups led the way for the Wolfpack with 27 points and 10 rebounds with fellow import Brian Sullivan adding 19 points, five assists, three rebounds and two steals. Damian Matacz contributed 10 points, eight rebounds and three assists from the bench with Rob Huntington adding eight points and four boards, and Trian Iliadis eight points and three assists. Josh Ritchart top-scored for the Flames with 31 points and 10 rebounds shooting 12/22 from the field and 4/10 from beyond the arc. Curtis Washington added 15 points for Rockingham, Ryan Godfrey 13 points and five assists, and Justin Beard 11 points, five rebounds and four assists. Hire played against the Wolves for the first time and finished with seven points, 10 rebounds and 10 assists. East Perth was backing up a tough game on Friday against the Wolves by hosting the up-tempo Lightning at Morley Sport and Recreation Centre. Even though Lakeside are now without Mason Bragg and are awaiting the arrival of Daniel Alexander, they forced the pace all night against the Eagles and opened up a match-winning first half advantage leading by as much as 24 points. The Eagles did hit back hard in the second half, though, but couldn’t quite get the job done with the Lightning steadying down the stretch to claim the eight-point victory. John Isenbarger finished with 31 points and nine assists on 9/19 shooting from the field 10/11 from the free-throw line for Lakeside. Michael Garbellini added 22 points and six rebounds for the Lightning, Rowan Mackenzie 17 points and four boards, Matt Vinci 11 points and three rebounds, and Hayden Bell 10 points and three assists. Jonathan Morse top-scored for East Perth with 20 points, nine rebounds and five assists on 9/18 shooting. Drew Williamson put in a power of work backing up from Friday night to play over 33 minutes and finish with 16 points, six assists and four rebounds. Young point guard Aiden Murphy added 13 points, four assists and three rebounds with Andrej Donlagic contributing 12 points and nine boards, and Corey Easley nine points and three rebounds. East Perth coach Aaron Berryman reflected on the challenging weekend with losses to Joondalup and Lakeside. “It’s two different types of games. With the Wolves, you can see why there are up the top of the ladder because they grind things out and they are so disciplined. 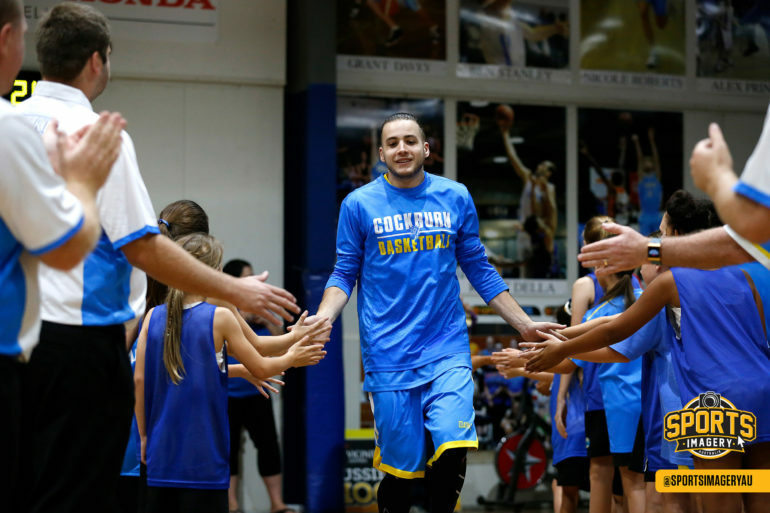 They stay to their program no matter what and that’s how good teams win,” Berryman said. “But everybody on their team knows their role. Coming into a double-header, we knew it would be tougher with the transition stuff Lakeside runs but also they know their roles. What they did was a hell of a thing to stop. “They have great shooters but that’s not what hurt, but Jarrad Prue made a big difference. He has been tough over the years and no matter what, he’s going to get his 20-plus rebounds. We knew that coming in but we couldn’t help on him because they have great shooters. The final game on Saturday night took place at Ray Owen Sports Centre with the Eastern Suns scoring a big win over the Senators by 35 points. It was a supremely impressive performance by the Suns to dominate the game from the outset as they improved to a 4-6 record as a result with the Senators slipping to 6-3 in the process. Kerrod Horn had a terrific night for the Eastern Suns with 26 points, eight rebounds, four steals and three assists on shooting 8/15 from the field and 3/6 from three-point range. Kevin Davis added 22 points, 12 rebounds, four steals and three assists shooting 8/10 from the floor. Logan Viskovich contributed 19 points and four rebounds for Kalamunda while Nathan Drown added 11 points and four assists, and Carl Aylett eight points. Louis Timms also made his first appearance of the season for the Suns and in almost 13 minutes of court time had five points and two blocks. It was a horror shooting night for the Senators who went at 30/83 from the field and 4/24 from three-point range. Cody Ellis, Justin King and Robert Anshila combined for 12/48 from the floor and 1/13 from deep. King finished with 13 points, three rebounds and two assists, Anshila 13 points, 10 rebounds, seven steals and three assists, Jayden Coburn 11 points, Ash Litterick 10 points, eight rebounds and three blocked shots, and Ellis 10 points, five rebounds, five assists, three steals and two blocked shots.